If you would like to tryout for the 2004 DutchmenFC team, please contact us at the link on our contact page. We are looking for high quality, dedicated soccer players. Please email DMFC at chris@dutchmenfc.com and kzn1@mac.com to inquire about the tryout process/schedule. WE ARE A TEAM BASED ON THE FOUNDATIONAL BELIEF THAT PLAYERS CAN DEVELOP IN AN ACADEMY ENVIRONMENT OUTSIDE OF THE USSDA SYSTEM WHILE ALSO ENJOYING TIME ON THE FIELD. WE ARE A NON-PROFIT YOUTH CLUB UNDER THE UMBRELLA OF THE NJ EXPRESS PROFESSIONAL FRANCHISE AND PART OF THE RED BANK FC ELITE PROGRAM. WE BELIEVE THAT A FOCUSED GROUP OF TALENTED PLAYERS UNDER THE FULL-TIME TRAINING OF A TOP-QUALITY COACH CAN DEVELOP INTO AN ELITE PRESENCE IN THE SOCCER WORLD. OUR PROGRAM IS FOCUSED ON HELPING EACH PLAYER ACHIEVE HIS SOCCER GOAL…WHETHER THAT BE PLAYING AT AN ELITE HS, BEING RECRUITED TO A COLLEGE PROGRAM OR PURSUING A PROFESSIONAL CAREER. COACHED BY UEFA "A" BADGE COACH GEORGE VICHNIAKOV, OUR PLAYERS RECEIVE ABSOLUTELY THE BEST TRAINING AVAILABLE. THIS IS A YOUTH EXPERIENCE WITH A PROFESSIONAL MENTALITY. WE TAKE PRIDE IN MAKING SURE OUR PLAYERS DEVELOP AS PLAYERS AND YOUNG MEN. WE ARE A NON-PROFIT CLUB. THIS MEANS THAT WE DO NOT TAKE ON PLAYERS IN ORDER TO GENERATE REVENUE. THIS MODEL ALLOWS US TO FOCUS ON QUALITY OVER QUANTITY. IF YOU ARE WEARING OUR KIT, THE WORLD KNOWS YOU CAN PLAY THE BEAUTIFUL GAME THE RIGHT WAY. WE TRAIN IN RED BANK, NJ, EXIT 109 ON THE GARDEN STATE PARKWAY. IF YOUR SON IS A QUALITY PLAYER LOOKING FOR A CHANCE TO TRAIN WITH A UEFA "A" BADGE COACH, PLAY WITH ATHLETES WHO TAKE THE GAME SERIOUSLY ON THE FIELD AND BECOME FRIENDS OFF THE FIELD, WE'D LOVE TO HEAR FROM YOU. PLEASE EMAIL US AND ARRANGE A TRIAL WITH OUR TRULY UNIQUE PROGRAM. DMFC IS CURRENTLY evaluating players WEEKLY for our 2004 BOYS EDP TEAM. FOR MORE INFORMATION, EMAIL US at THE LINK BELOW. Without the contributions from our sponsors, we would not exist. DMFC sincerely thanks those sponsors listed on this page. DMFC encourages you to contact these sponsors for any services that you may require...it's important to be loyal to those corporations and individuals that support DMFC. In addition, DMFC thanks individual sponsors listed below. All generosity is greatly needed and appreciated. Each contribution goes entirely toward the program. DMFC INC is a 501C3 non-profit organization. If you would like to make a contribution, please contact us at chris@dutchmenfc.com or kzn1@mac.com. PRIMARY SPONSOR of DMFC. 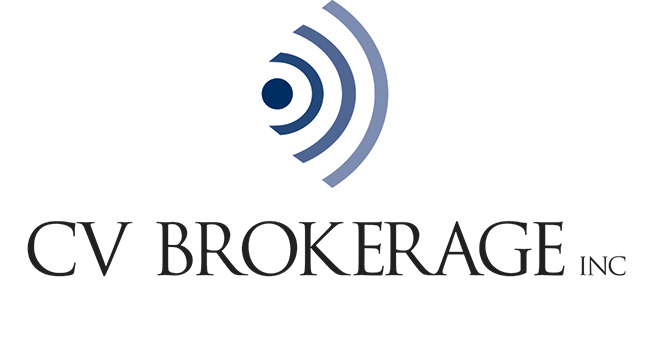 CV Brokerage is a 100% woman-owned broker-dealer specializing in agency-only execution services for institutions, fund of funds, hedge funds, endowments, foundations and high net worth investors. PRIMARY SPONSOR of DMFC. PPG INC is a wealth management company based in Wall, NJ. Specializes in using diverse portfolios of financial vehicles for individuals, families and small businesses to earn maximum efficiency on every dollar invested. PRIMARY SPONSOR of DMFC. NWPG INC. is a boutique event production and management agency. NWPG creates and produces large scale corporate events/exhibits and symposia.